Vertical Generation's First Outdoor Climbing Trip with Youth From the International Rescue Committee — CascadiaNow! The first weekend of October marked a momentous milestone for Vertical Generation, a project of CascadiaNow!, who held their first outdoor rock climbing trip with youth from the International Rescue Committee (IRS,) an awesome organization that provides support to humanitarian crises around the world and refugee families. 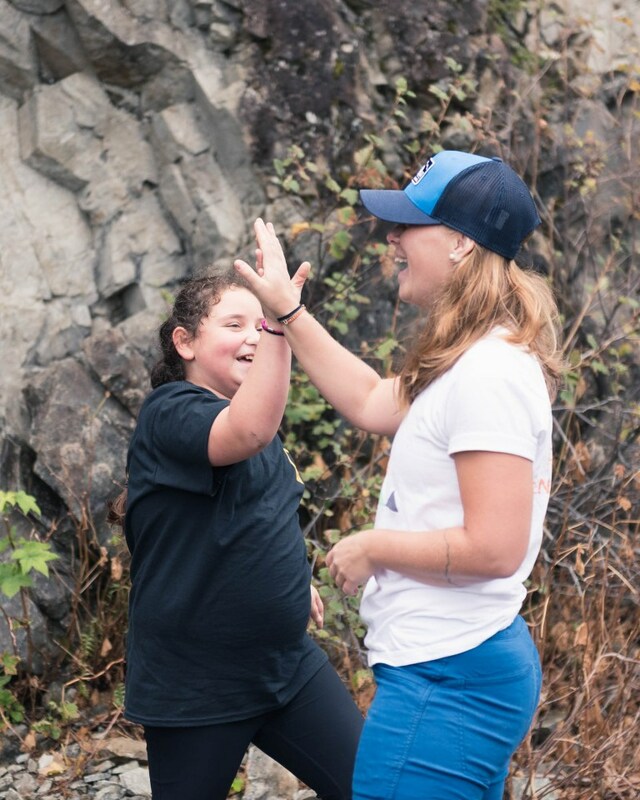 We are so proud of Vertical Generation taking their programs to the next level, providing youth with a memorable experience climbing and enjoying the wilderness of Cascadia. Since the project started just over a year ago, they dreamed of bringing youth outdoors and connecting them with nature using climbing as their vehicle. Now, that dream is reality. One boy in particular exuded lots of excitement for climbing. When asked if he had climbed before he replied, “Oh yea! Back in my home country we’d climb all the time. But we didn’t have any of this [pointing to his harness and helmet].” He was referring to his childhood in Iraq where he would scramble up local rock. Another girl came back from a bathroom adventure with an IRC staff member and other girls, and giddily said, “I haven’t gone to the bathroom outside since Burma.” They all had smiles of pure joy on their faces and it felt like everyone was having a great experience outside. When not climbing the kids had an awesome time playing small games, chatting and joking around, and enjoying snacks and the view. When it came time to wrap and reflect on the experience, many of the kids said the hardest part of the day was going down (trusting the rope and leaning back in the harness), and the most fun part of the day was “going up!” The kids enjoyed the experience so much they seemed psyched to join us next month for our Vertical World Movement Event! One of the boys said he wanted to climb EVERY DAY. Please join us in congratulating Vertical Generation on this super successful event! Older PostPlay with The Game Campaign, NOW Through International Games Day!